I received this book without having read the previous 2 volumes. It was very insightful and brought the last days of our Savior's life in sharper focus. 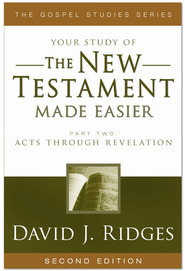 I would highly recommend this book to any serious student of Christ's life and the Atonement. This is the third volume of this series, and it is excellent. It covers many different topics with each topic being written by a different author. Each author has done an amazing job researching their respective area, and I found this book to be amazing. It can however be a bit technical, but that's how I like my books. I highly recommend this set!